This article was created in partnership with Google. Thank you for supporting the partners who make SitePoint possible. No matter how large or small your website is, there’s a good chance that you might like to earn extra revenue from it. Google AdSense is a simple and free way for website publishers to earn money by showing relevant and engaging ads alongside your online content. AdWords lets you tap into the world’s largest network of online advertisers. They bid for your ad space, helping you get the most from your ads while saving you time to focus on growing the rest of your business. Select the ad types and formats you want to include on your site. Copy and paste a piece of code on pages where you want ads to appear. Advertisers bid for your ad space in a real-time auction, so sit back and watch the highest paying ads go live. When ads are seen or clicked on by users, you earn money. AdWords handles the billing of advertisers and networks, so you don’t have to manage advertiser relationships. Once you’ve earned a certain amount, your payment is sent automatically. 1. You control what appears. Not only are you able to specify where you want ads to appear, but you can also change the look and feel of your ads to fit with your website. Plus, automatic targeting enables you to show ads that are relevant to your users. Control the categories of ads you allow, choose which types of ads fit your site best, and block ads you don’t like. 2. Ads are reviewed to maintain quality. Ads that run with AdSense are reviewed to ensure they’re high quality, that their content is family safe, and they’re relevant to your content or audience. This applies to all types of ads, including text, display, rich media, and more. 3. You can choose from a variety of sizes and formats. A text ad typically includes a title that’s also a clickable link to a webpage, one or two lines of text, and a website address. Sometimes known as “sponsored links,” these ads can appear on Google search results pages and across the Google Display Network. Display ads are graphical ads offered in a wide range of ad formats with square, horizontal, or vertical orientations. In order for display ads to appear in the ad space of your content pages, you’ll need to opt in for display ads. This group of interactive ad types includes HTML, Flash, video, and dynamic image ads. You can choose whether you’d like to display rich media ads when you set default ad type preferences for your account or when you create or edit an ad unit. A link unit displays a list of topics relevant to the content of your site. Whenever a user clicks on one of these topics, he or she goes to a page of Google ads related to that topic. While you don’t receive earnings for clicks on topics, you will be paid for clicks on any ads on the resulting page. A responsive ad unit allows you to dynamically adjust the size of the ad on your page according to the screen and device that it’s being viewed on. This format provides automatic sizing based on the space available, and even supports ad size changes after a screen orientation change, such as when the user switches from portrait to landscape. This suite of ad formats is designed to match the look and feel of your pages, giving your visitors a seamless, consistent experience. AdSense Native ads come in three categories: In-feed, In-article, and Matched content. Native ads are built to fit naturally across different screen sizes on mobile, desktop, and tablet. Easy-to-use editing tools help you make sure the ads look great on your site. This format allows you to position native ads between the paragraphs of your pages. By using a layout that follows the reader’s flow, they blend in easily with the user experience. You may have a feed on your site, such as an editorial feed showing a list of articles or news, or a listings feed displaying products or services. Placing In-feed ads between the content of your feed or where your feed begins or ends means that visitors who are scrolling down your content will encounter them. And because In-feed ads fit unobtrusively within your feed, they won’t disrupt the user’s flow. Matched content is a free recommendation tool providing a simple way to promote your content to your site visitors. Matched content recommendations are based on topic similarity and are personalized for the reader. In giving readers more content that’s relevant to them, you can increase page views, time spent on site, reader loyalty, ad impressions, and ad revenue. Auto ads use machine learning to make smart placement and monetization decisions on your behalf, saving you time. Once you add one piece of code just once to all of your pages, Google will automatically show ads at optimal times when they’re likely to perform well and provide a good experience for users. Millions of advertisers compete for your ad space. Ad space on your website is in demand. With advertisers constantly looking to connect with potential customers on your website, AdSense helps to connect you with advertiser demand. More advertisers means more competition for your ad space and more relevant ads – which adds up to more of your ad spaces being filled and more revenue for you. Make your website earn for you and sign up for Google AdSense today. Alistair has been with Google for the past three years and is a senior member of our Partnerships team. 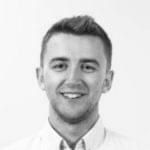 Working in the UK and Ireland markets, he is experienced with developing relationships with key clients from across broadcasting, local news and magazine publishers.